For the 24 hours to 23:00 GMT, Gold declined 0.41% against the USD and closed at USD1309.30 per ounce, as strength in US dollar dampened demand for the precious yellow metal. 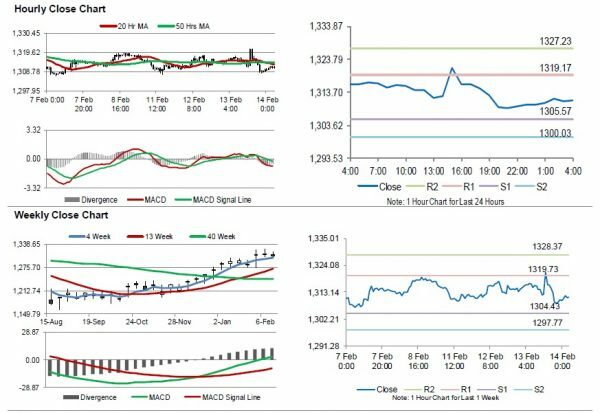 In the Asian session, at GMT0400, the pair is trading at 1311.10, with gold trading 0.14% higher against the USD from yesterday’s close. 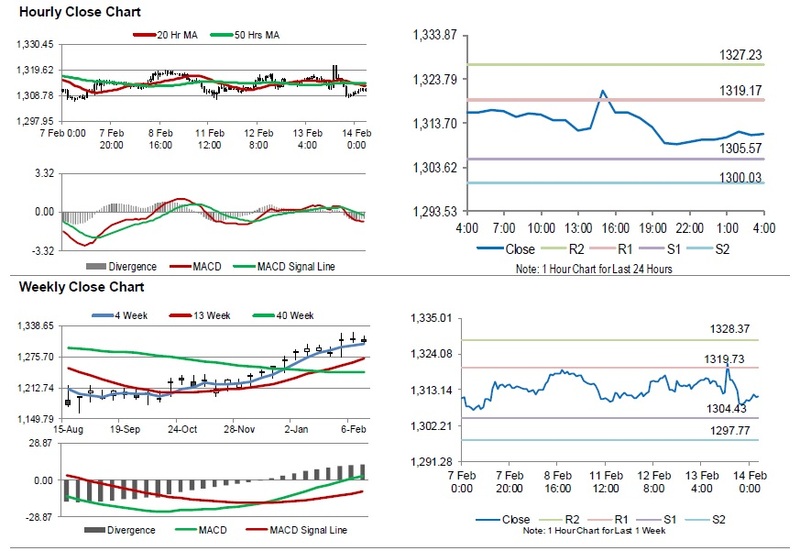 The pair is expected to find support at 1305.57, and a fall through could take it to the next support level of 1300.03. The pair is expected to find its first resistance at 1319.17, and a rise through could take it to the next resistance level of 1327.23.